It almost goes without saying, but Avida Caravans are a top quality, well built Australian made caravan. I was lucky enough to have a look over the range at Camperagent RV Centre and i gotta say i was both impressed with the van and the display at the Parafield Gardens dealership (side note they also have Avida Motorhomes). Whilst on the pricier side of the market, after a quick walk through the van you can see why they are priced the way they are. They use high quality sandwich panels on the walls and roof which are also hail and dent resistant. The construction is so strong that you can literally put an Avida caravan on an Avida caravan (see image below) not that anyone would do that, would they? 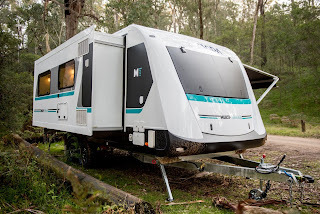 Overall I was very impressed by these Caravans, and I would highly recommended a look next time you get chance, if you are in the market for a top of the range caravan, it's hard to look past the Avida range. What do you guys think of these vans? Please let us know in the comments section below. 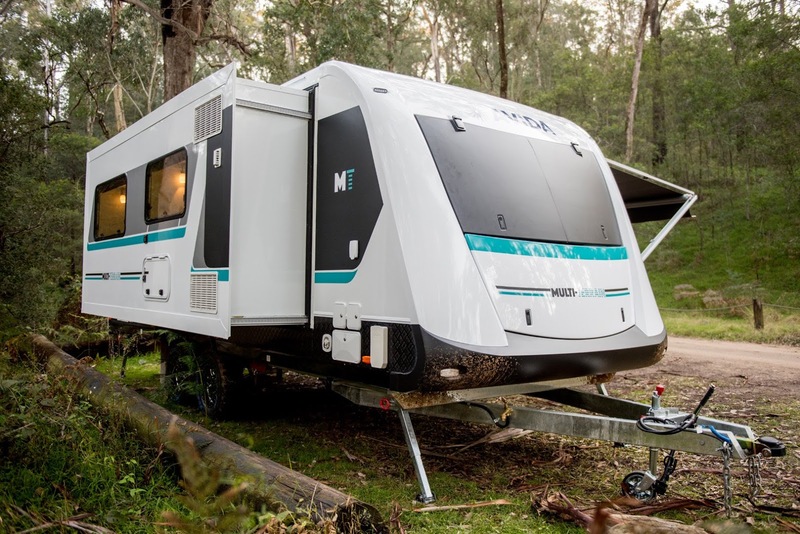 Avida has a large range of new caravans for sale in Australia - visit an authorised Avida Caravan Dealer and inspect the range today. Strength, using the most innovative and technologically advanced manufacturing processes in Australia, Avida has created the strongest and most durable caravan that's suited to the tough Australian conditions. A complete sandwich panel construction with the thickest floors and overall the most insulated Caravan on the market. 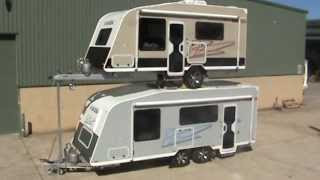 If you think that's tough go to the website to watch the Avida caravan stack test in action. Style is immediately apparent with its smooth aerodynamic looks, ultra large dual pane tinted windows to let in the natural light, contemporary style interiors and complimented by LED mood lighting throughout each Avida caravan. Support after the sale, importantly, peace of mind for discerning customers who appreciate the best supported caravan warranty available, a three year nationwide factory backed warranty and a five year structural guarantee, two years free roadside assistance, a free first service*, the comfort of a very large accredited service network and the fact that Avida has been building all types of RV's for over 50 years makes Avida truly understand what is expected by customers. *Please refer to owner's manual for list of inclusions. See how Avida builds the strongest caravans on Australian roads.